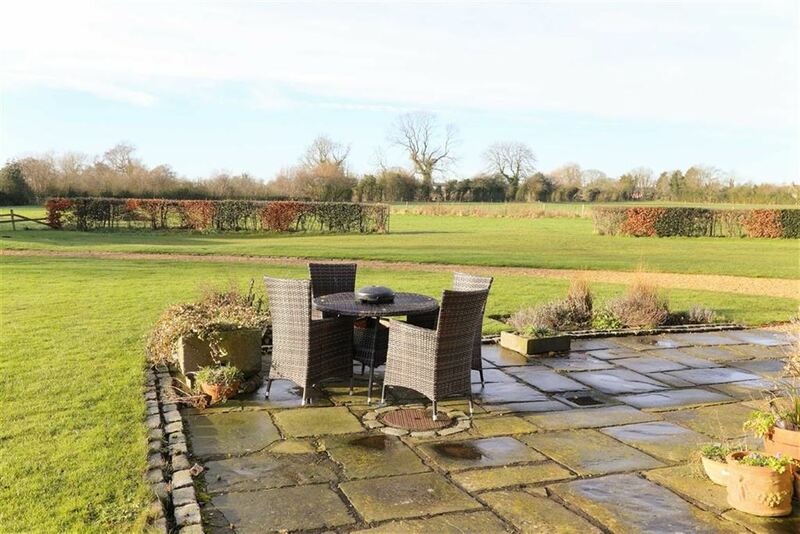 A magnificent south-west facing country house. Fully modernised in 2017 to the highest standard throughout. 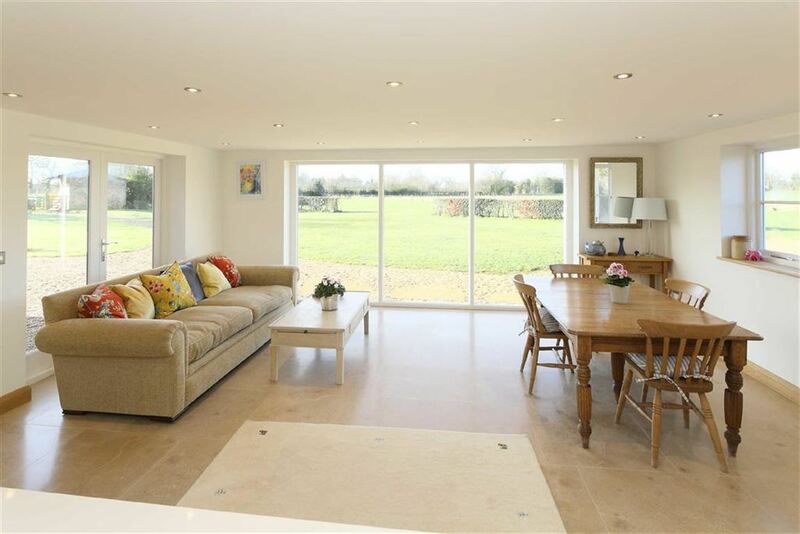 Set in 3.2 acres with a 4 bay garage, stables and machinery shed. Halls are delighted with instructions to offer Brookfield House, Gradeley Green, To Let on an initial 12 month Assured Shorthold Tenancy Agreement with a longer term tenant preferred. 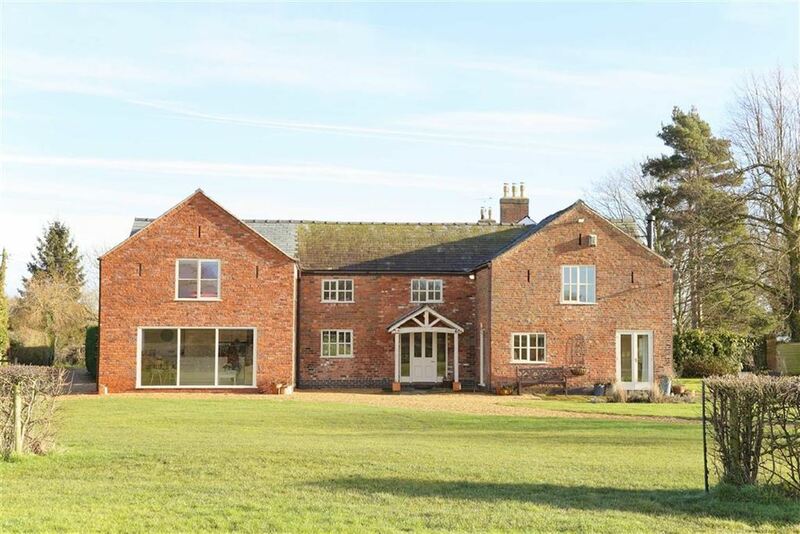 An extremely well presented and spacious five bedroomed detached country house with extensive gardens, quadruple car port, stabling and paddocks situated in a popular rural location outside the popular town of Nantwich, extending, in all, to approximately 3.2 Acres, thereabouts. The internal accommodation, which has been much improved by the owners, comprises, on the ground floor, an Entrance Hall, Lounge, Cloakroom, Dining Room, Sitting Room, Kitchen / Breakfast Room, Utility Room and Shower Room, together with five first floor Bedrooms (Master Bedroom with Ensuite Bathroom and Dressing Area) and two Family Bathrooms. 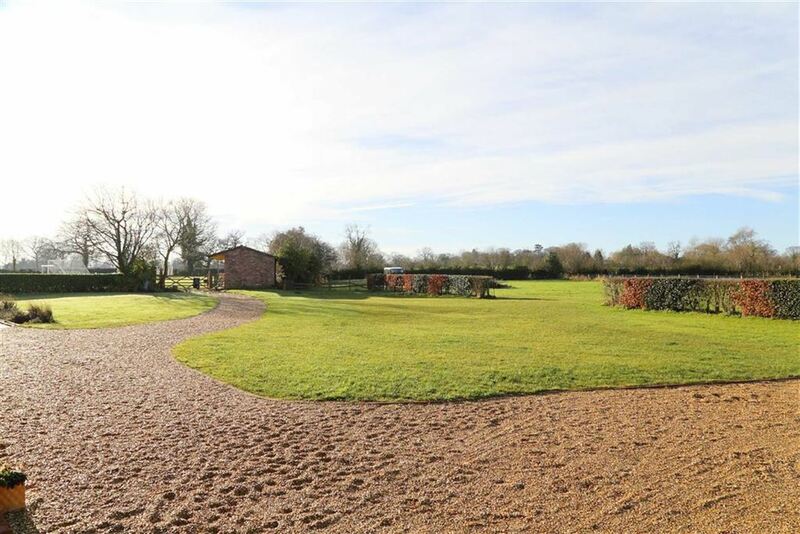 Outside, the property is complimented by an open fronted garage with space for four vehicles together with large gardens, stabling, and paddocks. Brookfield House is situated in the rural Cheshire hamlet of Gradeley Green. The town of Nantwich (4 miles) has over 250 speciality shops, supermarkets, senior schools and is an ideal location for commuters to the North West, Staffordshire and West Midlands. The city of Chester (18 miles) is within a easy motoring distance and has a more comprehensive range of amenities of all kinds. From Nantwich take the B5341 to the village of Acton and turn left down Monks Lane. Take the first left down Swanley Lane. Continue over the canal bridge in to Spring Lane and take the second right (Signed Hollin Green Lane but sometimes appears as Hearn Lane on maps/Sat Nav). 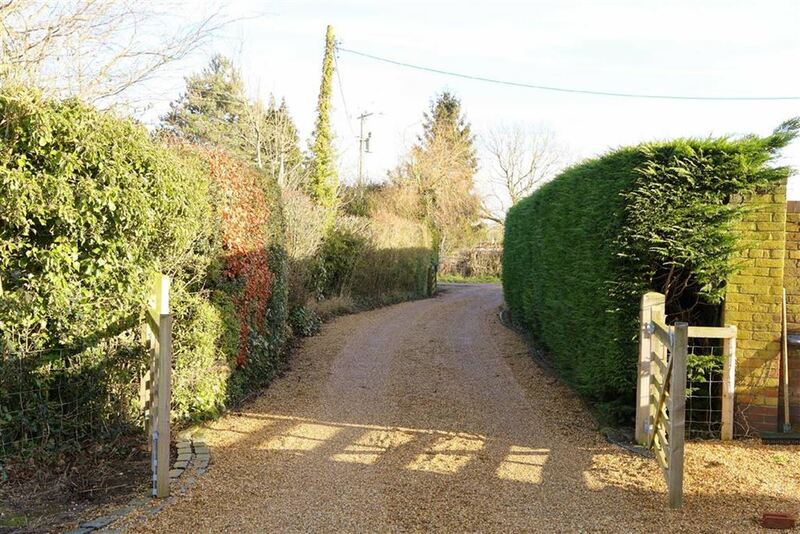 The drive to Brookfield House will be situated on the left hand side after a short distance. With a continuation of the solid oak flooring, three double glazed windows to two elevations, large feature window to side, radiator, double opening doors opening out to the patio area, exposed ceiling timbers, and inset log burner on a hearth with mantel over. 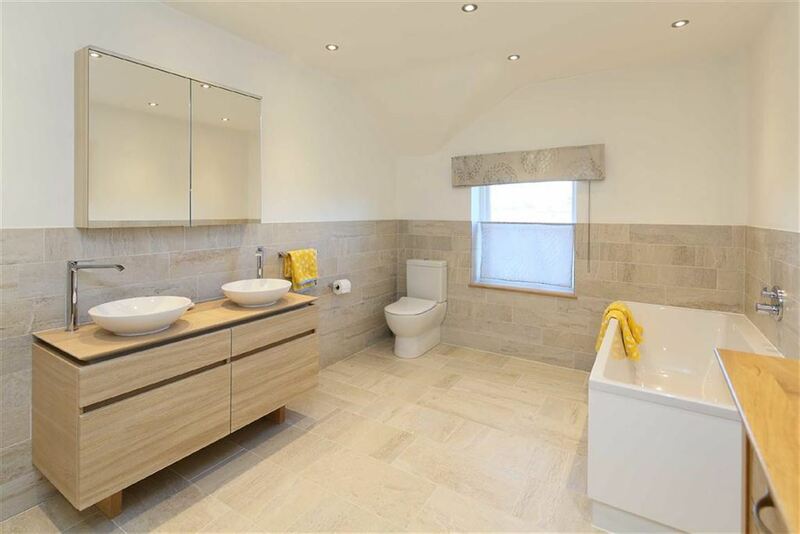 With limestone tiled floor, low flush WC, wash hand basin (H&C), window to rear elevation. With a continuation of the solid oak flooring, three double glazed windows to two elevations, exposed timbers, radiator. 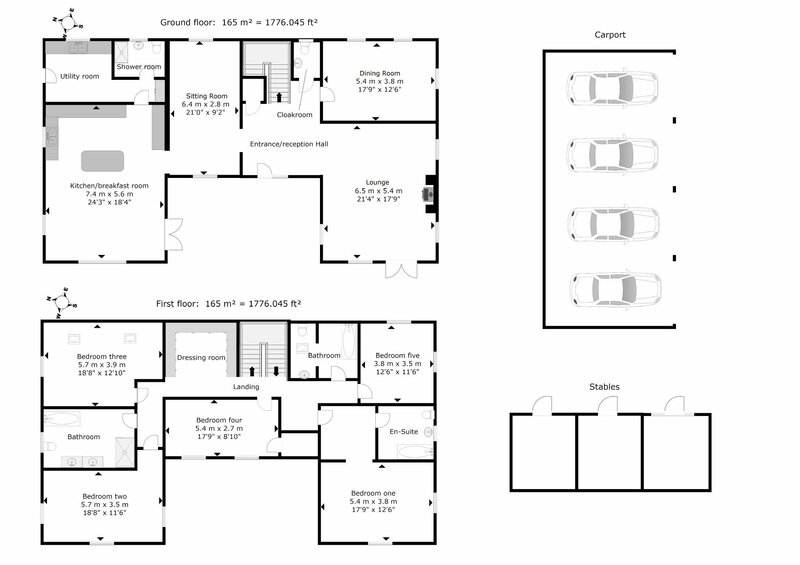 With a continuation of the limestone tiled floor, low flush WC, wash hand basin (H&C) and 1.5 man shower unit with mains fed shower and window to rear elevation. With a tiled floor, double glazed window to side elevation, low flush WC, wash hand basin (H&C) with unit below, panelled bath (H&C) with mains fed shower attachment and extensively tiled walls. 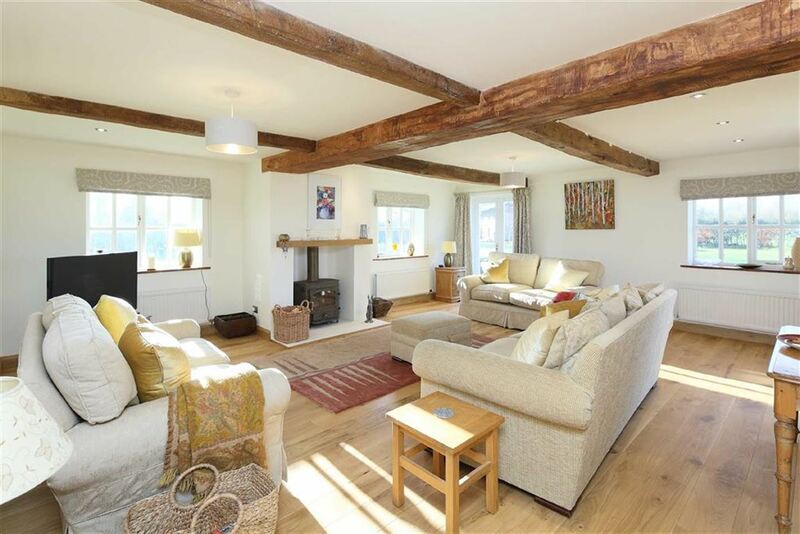 With solid oak flooring, two double glazed windows to two elevations, exposed timbers and radiator. 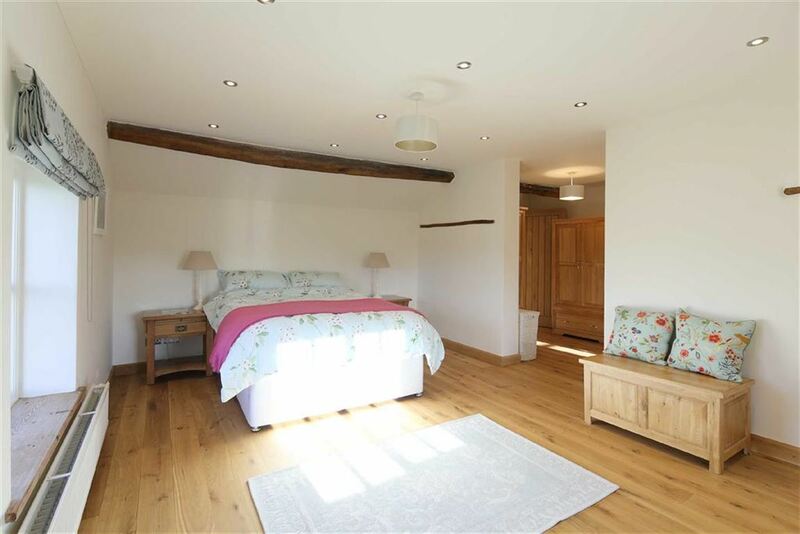 With solid oak flooring, two double glazed windows to two elevations and a radiator. With Velux rooflight, low flush WC, wash hand basin (H&C) with cupboard below, panelled bath (H&C) with mains fed shower attachment and extensively tiled walls. With solid oak flooring, two double glazed windows to front elevation, radiator and door opening in to a storage cupboard with shelving. With tiled floor, double glazed window to side elevation, low flush WC, panelled bath (H&C), 1,5 man shower unit with mains fed shower, double sink (H&C) with cupboard below and mirror over. 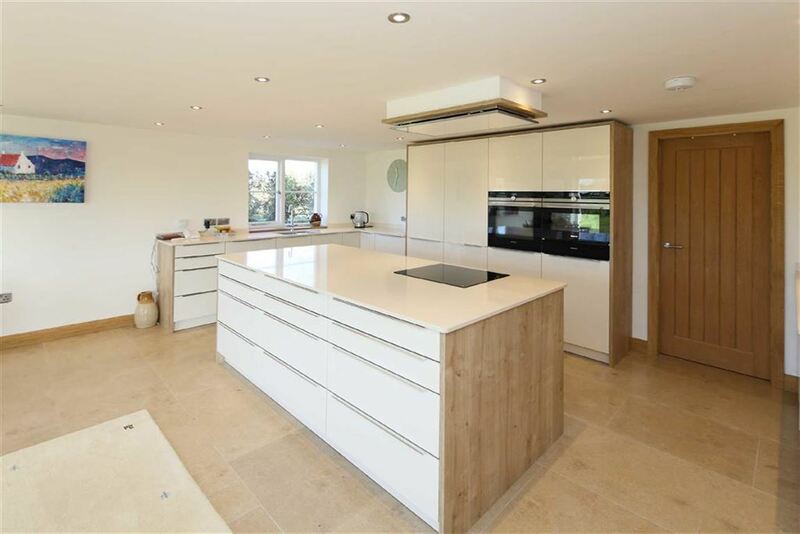 (plus entry recess)With solid oak flooring, three double glazed windows to three elevations and a radiator. 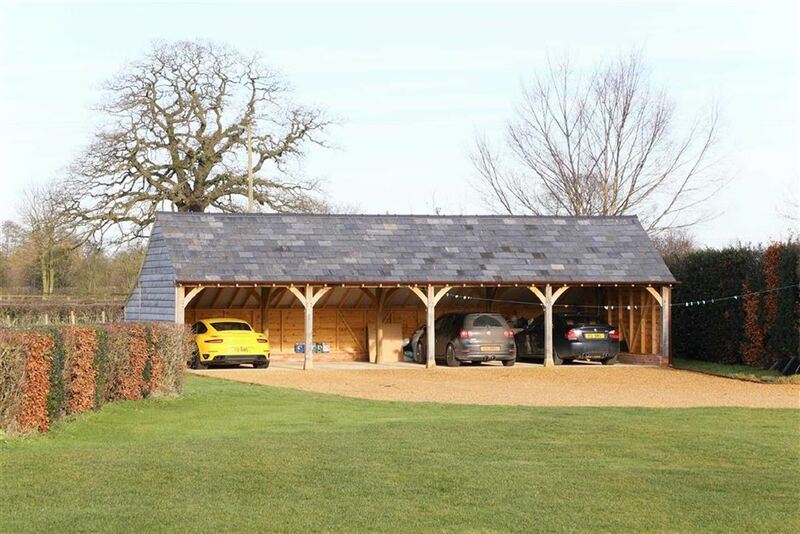 To the rear of the car port there is a timber storage shed. 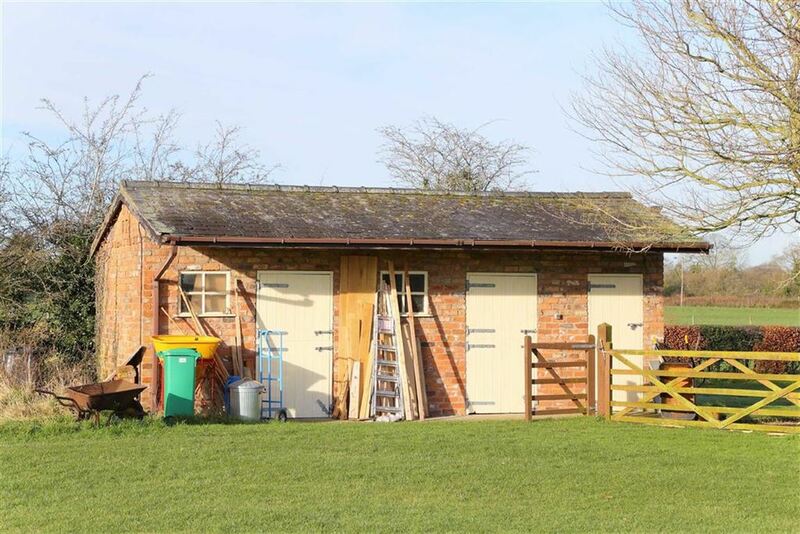 Which comprises two stables and a storage room. There is an area of paddock, which has access the stable block. There is a further area of paddock which is not currently fenced off. 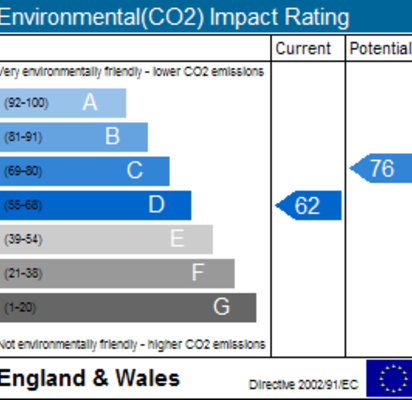 Cheshire East Council Headquarters, Westfields, Middlewich Rd, Sandbach, CW11 1HZ. Tel: 0300 123 5500. The property is in Band ' F ' on the Cheshire East Council register. The payment for 2017/2018 is £2,271.06. 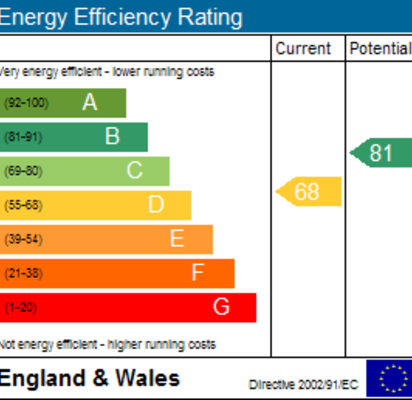 The property is available on an assured shorthold tenancy agreement for 12 months initially, however, the landlord may be willing to extend the tenancy, if required. A security deposit of £4,500.00 will be required to be held by the DPS.